You have to trust that instinct and good at listening to it. 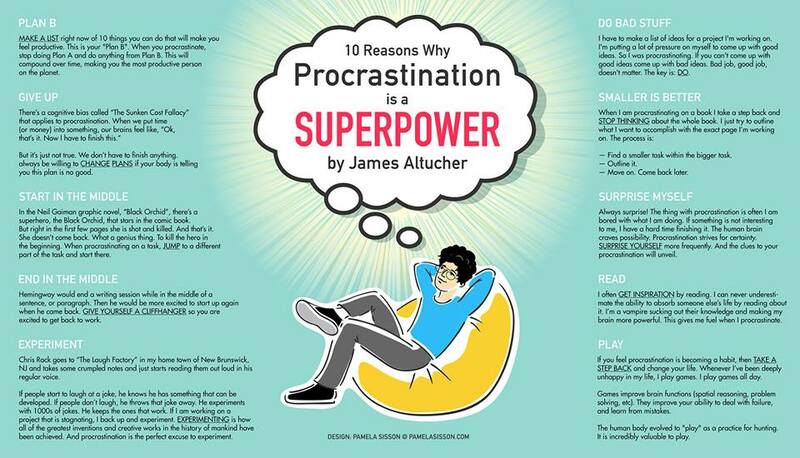 My life is better if I use procrastination as a mutant super power instead of something to be afraid of. Hemingway would end a writing session while in the middle of a sentence, or paragraph. Hen he would be more excited to start up again when he came back. GIVE YOURSELF A CLIFFHANGER so you are excited to get back to work.